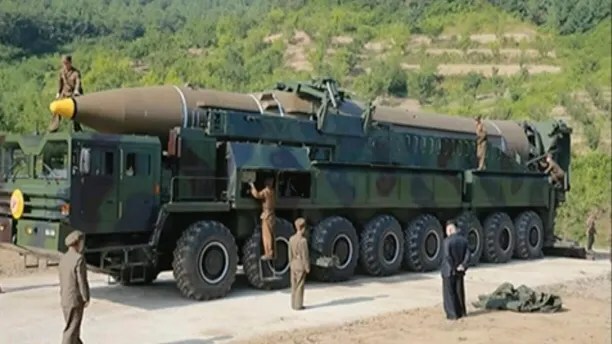 It will be difficult to confirm many of the details of the Hwasgon-14 launch, but if it is determined to be an ICBM test then it could be a potential game-changing development in what may be the world’s most dangerous nuclear standoff and a direct rebuke to President Trump. U.S., South Korean and Japanese officials earlier said that North Korea fired an intermediate-range missile into waters off the coast of Japan – known as Japan’s Exclusive Economic Zone. Intermediate-range ballistic missiles can travel nearly 3,500 miles, meaning U.S. forces on the island of Guam would be in their range. This image made from video of a news bulletin aired by North Korea’s KRT on Tuesday, July 4, 2017, shows what was said to be the preparation of the launch of a Hwasong-14 intercontinental ballistic missile, ICBM, in North Korea’s northwest. The launch appeared to be North Korea’s most successful missile test yet. 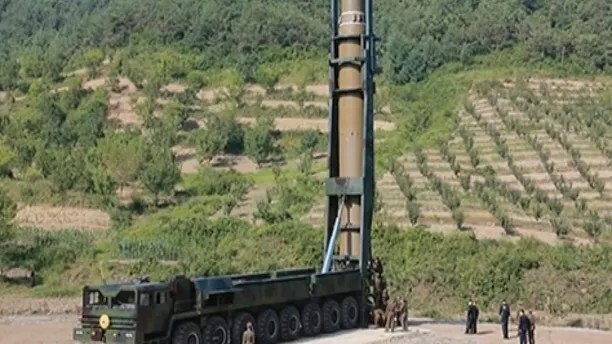 State media said it was ordered and supervised by dictator Kim Jong Un, according to Reuters. 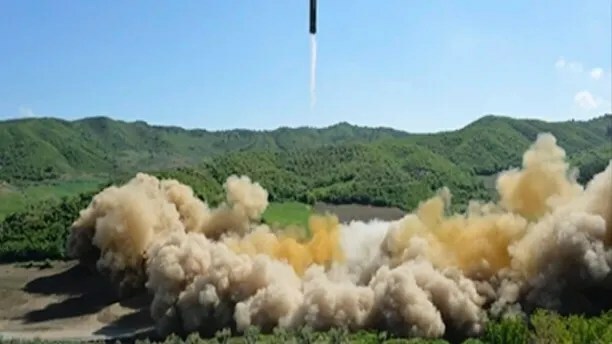 U.S., South Korean and Japanese officials said it flew for about 40 minutes and reached an altitude of 1,500 miles, which would be longer and higher than any similar North Korean test. It would break the previous record set on May 14 – that test was 30 minutes. 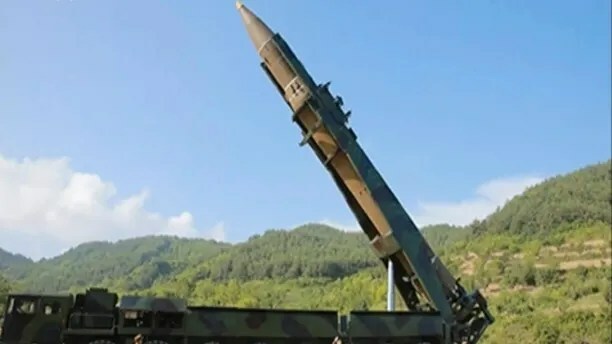 A U.S. scientist examining the height and distance told The Associated Press the missile could be potentially powerful enough to reach Alaska. This image made from video of a news bulletin aired by North Korea’s KRT on Tuesday, July 4, 2017, shows what was said to be the launch of a Hwasong-14 intercontinental ballistic missile, ICBM, in North Korea’s northwest.